You are here: Home / Dental Services / Invisalign / Is Invisalign for You? In a word, yes. Treat yourself to a perfect smile without the unsightly look of braces. Child or adult, small corrections or major realignment, Invisalign allows you to smile about how your teeth look, providing gradual, discomfort-free adjustment to your mouth. This revolutionary system can solve a variety of dental issues, from overbites and underbites to excess tooth spacing. Dr. Jesus Medina Jr. can use Invisalign for all or part of almost any treatment plan. No more wires or brackets to irritate your lips and cheeks, Invisalign is the most comfortable realignment tool on the market. You can eat solid food without discomfort, sleep soundly without the pain and irritation that braces bring, and even chew gum without having to dig between your teeth to spit it out afterward. Personal appearance is a big part of a person’s life, and nothing draws attention to your mouth like the shine of awkward-looking braces. 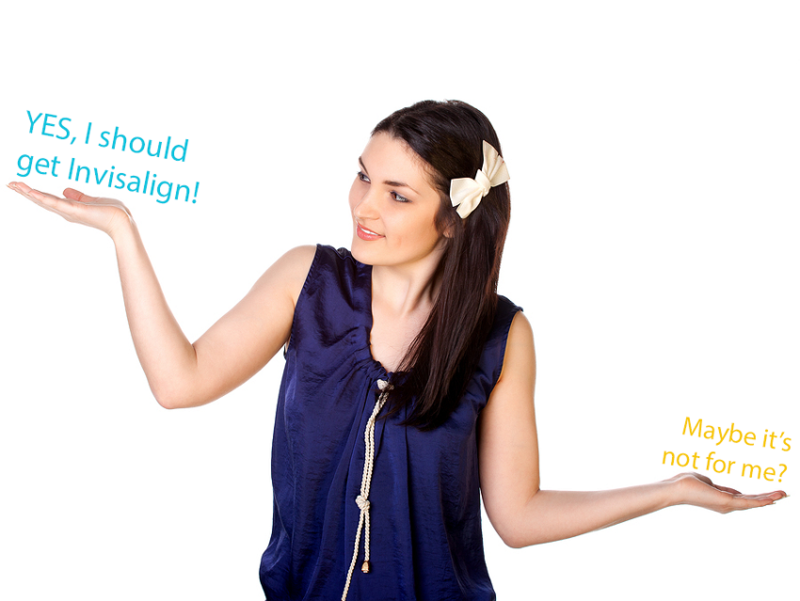 Invisalign helps you avoid social stigma by being completely invisible! Your teeth will look just like they always do, even while Invisalign is doing its work, gently shifting them into alignment over a period of months. Maintain your professional appearance, or, if you’re in school, avoid the stares of your peers all while adjusting your smile! Never be embarrassed or insecure about your teeth again. Interested in Invisalign treatment in Las Vegas? Schedule an appointment with Dr. Medina.